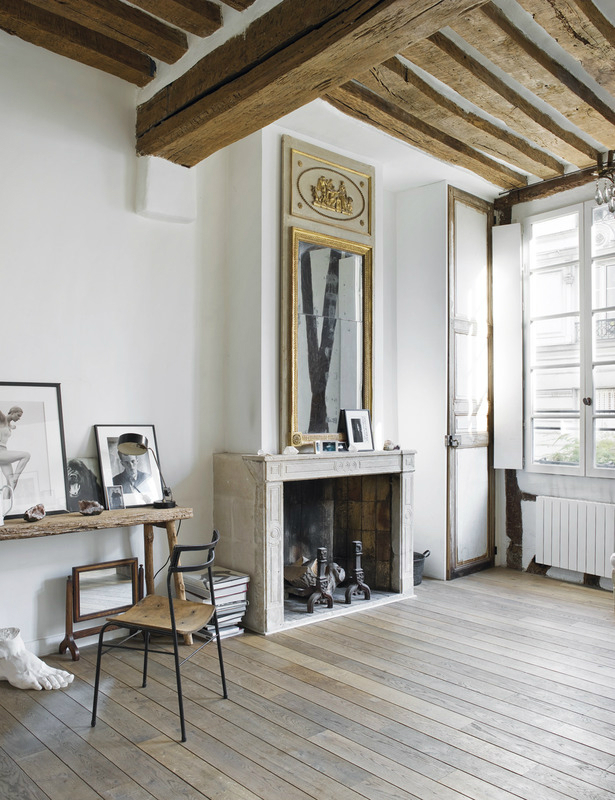 Photographer Matthew Brookes’ home in the Parisian refuge of Le Marais, is both calm and comfortable. The house has been a realization of his dreams. Decorated with antiques as well as materials from the flea market it is a unique house indeed. A number of things are instantly recognizable as soon as you step into the kitchen. For starters, it takes as little space as possible. This huge sacrifice in space has been meant to simplify the kitchen design to a minimal space usage area. A compact kitchen is also easier to operate and find items as compared to a huge one. Born in England and raised up in South Africa, New York and Paris, the owner has seen quite enough of different places in the world to develop a liking for multiple cultures and this is evident by the choice of materials and techniques used in the design of the home. According to him, he wanted to have a typical French apartment with a feeling of Paris which exudes charm from all sides. The internal home decor reveals an aura that conveys a feeling of calmness. The high ceilings with wooden beams bring about a concept of space and makes the place look more spacious. From the look of things, the project was meant to reform and redecorate the house using organic elements such as stone and metal to give it a unique design touch. The furniture has also been designed to provide you with a comfortable yet organic feel. This way, you can get home from a tiring job and relax totally. The sofas were bought while new and other decor elements used in the home came from traces and antique shops. 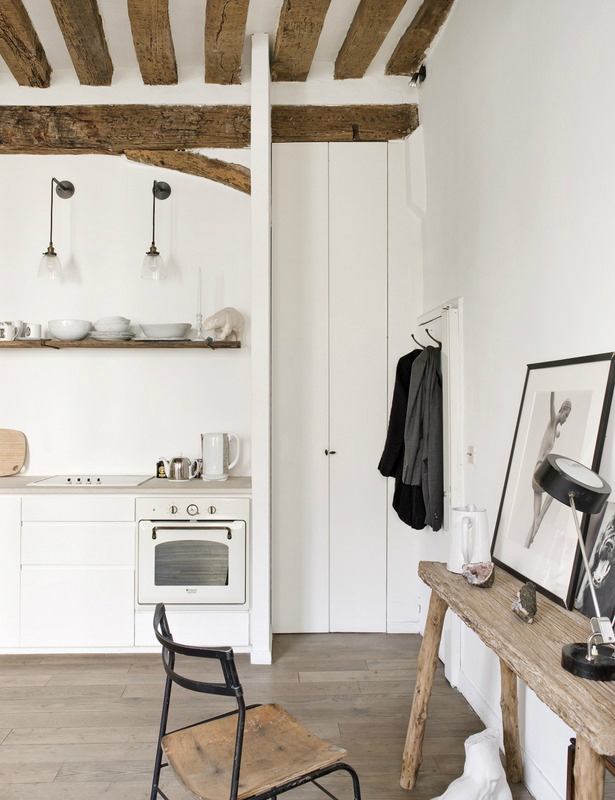 The designer definitely loves old wood and metal as colors or materials for decoration. 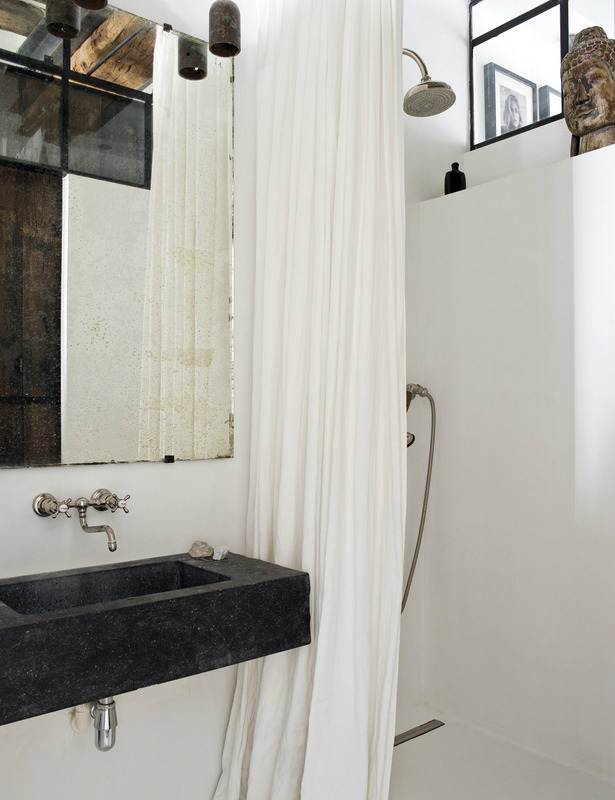 Having iron as part of decorations puts a contemporary masculine touch to the entire design. Surely, this is one unique piece of design and architecture. With a spacious roofing that provides a vast expanse of space between the floor and the ceiling. It also combines a blend of design and decoration patterns so as to make use of materials gathered from diverse places and put into one design. It was definitely a challenge arranging the colors to achieve a perfect balance and harmony of colors. 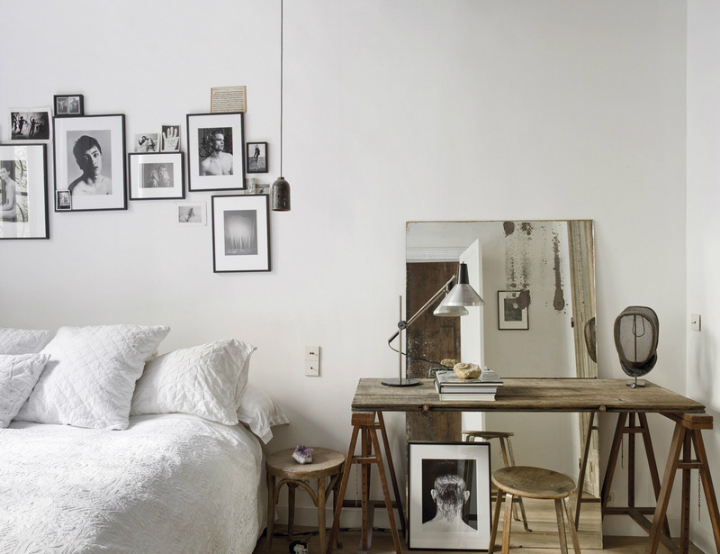 Being a photographer, the owner definitely likes to be surrounded by photographic memories and this is also used as a part of the homes interior design. This is definitely exquisite.